In LA this Sunday, you can help stop Mad Clown Disease! 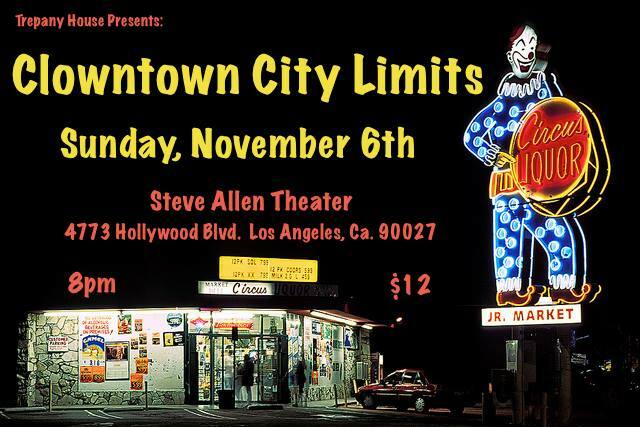 Sunday night the fantastic comedians of 2 Headed Dog present what may be their magnum opus: CLOWNTOWN CITY LIMITS! I wish I was in LA, I hate to miss this show! This Sunday, join Big Bugs (the Happiest Clown Alive), Corky (the unemployed rodeo clown), and Adolph (their Swedish butler) for a very special benefit performance of Clowntown CIty Limits to help fight MCD. One in ten clowns is afflicted with Mad Clown Disease. With your help, there is a cure. All proceeds to benefit Find A Cure for MCD. Special post-show VIP autograph and picture signing with Bugs, Corky, and Adolph. Anyone in Clown outfit (and not afflicted with MCD) gets $2 off price of admission.